It looks like I'm destined to live in College Town, USA -- at least for the near future. The Tall Man and I traded Cambridge, Massachusetts ("Bostonia") for Princeton, New Jersey ("Princetonia"). It's been ten months so far, and in truth, I'm still getting used to it. I miss Boston. I miss our friends and the quirky campus culture. Princeton feels stuffy and elitist -- even to an Ivy Leaguer who just came from MIT (ironic?). Here, I have to drive a car everywhere here. I mean, I have to own a car! There aren't enough sidewalks to get to my local grocery store! But it's been ten months, and this place is slowly becoming more familiar. Our apartment still has unpacked boxes, but it smells more like us and has a beautiful view. We're making friends, not just acquaintances. Gosh, it really is nice to have people you feel comfortable texting to meet up! It sounds so minor and trivial, and yet it has taken time. Ten months is also enough time to start to develop routines and find new favorites. I've discovered I actually like what Jersey has to offer: not just the highways and the non-descript strip malls, but the farms, the architecture, the generous doses of culture. 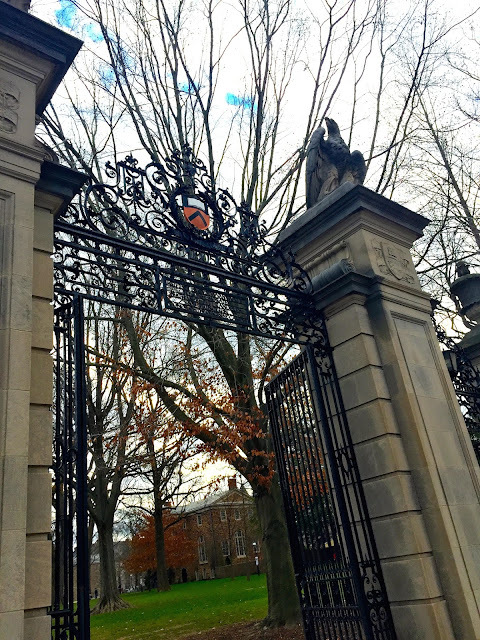 The formality and carefulness seem fitting for Princeton. But I hope to inject some cheekiness and spontaneity into my discoveries and this place, too.